A hyperbolic function are analogous to trigonometric functions but refer to base e. Below are six hyperbolic functions derived from the basic definitions of sinhx and coshx. 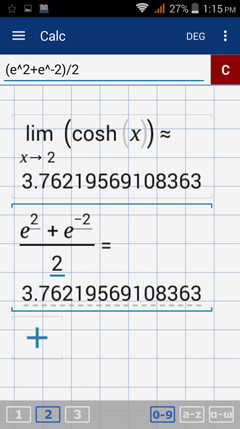 Calculating the limit of a hyperbolic function involves evaluating a function in terms of e^x and e^(-x) as x approaches c. Like other functions, it can be found by substituting x = c, but it is similarly possible that the limit may not exist. Calculate each limit if it exists. The limit of cosh x as x approaches 2 is the value of f(2) = e^x + e^(-x))/2. 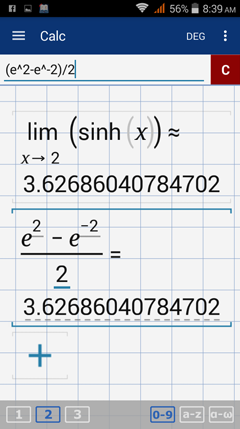 The limit of sinh x as x approaches 2 is the value of f(2) = (e^x - e^(-x))/2. Calculate each limit, if it exists.